Will You Help Fund MAGDOG’s Innovative Magnetic Collar, Leash & ID System? While surfing Kickstarter recently, I came across a new concept in leashing and collaring your dog. 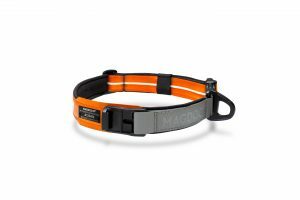 The title reads, “MAGDOG: Magnetic Dog Collar, Harness and Leash + ID System. The ultimate, simple and secure pet safety system.” That’s a tall order for any leash, collar and/or harness combo; adding in pet security makes the claim even more impressive. There’s a short (less than 3 minutes) video on MAGDOG’s Kickstarter page that sums up the details that make the magnetic collar system so unique. It’s worth watching to see the system in action, which features the use of a powerful magnetic system to attach the leash to the collar or harness. If you’re like me, you immediately thought, “No magnet is going to hold my big dog if he pulls on the leash.” In the video, MAGDOG stresses that the leash will hold tight against more than 300 pounds of tension. They refer to the “enhanced” latch system that holds the magnetic latch in place once you’ve connected the leash to the harness. Ease of use and practicality are also touted, with a close-up shot of the leash’s tether being tossed toward the collar, where the magnet finds the collar latch and automatically clamps into place, no hands needed. The video stresses movement, being active and taking your dog anywhere you want to go, appealing to millenials and anyone who wants to take their dog along anywhere and everywhere with them. The collar is made of Argos, a flexible, easy-clean material that is durable and comfortable. Other innovations that make the MAGDOG system ideal for active pet owners: the built-in ID tag on the collar and/or harness, which can be scanned to notify you if your dog is found by anyone with a cell phone. 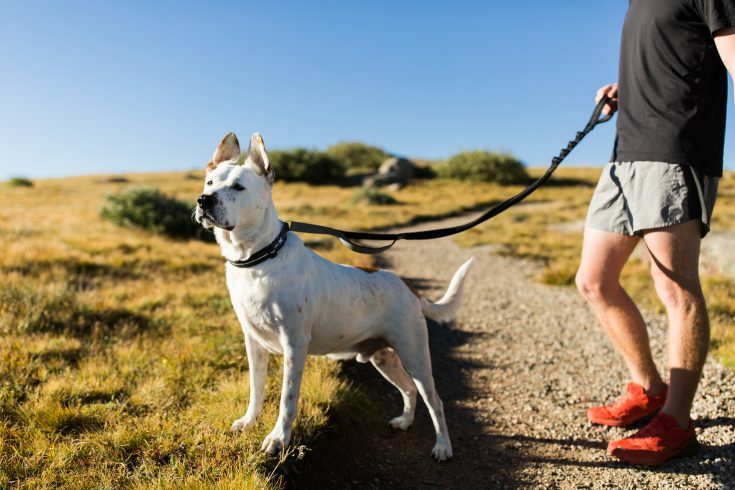 The leash includes a carabiner, gear loops and a short leash loop for holding your dog closer when the situation warrants it. If you’re getting excited about the MAGDOG system, visit Kickstarter and pledge your financial support, because it isn’t in production yet. The developer, Michael, hopes to raise $10,000.00 by September 20th so that the system can be put into production and the first orders filled. Pledging funding essentially means you’ll get one of the first MAGDOG sytems to roll off the assembly line. The system comes in four attractive colors and additional accessories are available, including a seat belt harness for car traveling. MAGDOG hopes to ship its first orders by February 1, 2018, but this largely depends on whether they get the funding needed in time. If you’re interested, visit their Kickstarter page at MAGDOG: Magnetic Dog Collar, Harness and Leash + ID System. If you have questions about how the system works, be sure to check out the Q&A section, where the designer answers questions often asked by potential backers. By September 8, 2017, MAGDOG had already raised three-fifths of the money needed to begin production. If you’re interested in funding or pre-ordering your own collar, leash or harness, visit the website. And please share your thoughts on the MAGDOG system with me! I’m interested in your thoughts on whether you think the magnetic leash system will be strong enough to hold your pet. Have the owners included the elements you want to see in a collar and leash system? What about the price point? Comments are welcomed and encouraged!